The Miami nightlife has the best nightclubs and bars and is one of the best places in the USA to party. The clubs are full of international trendy people from all over the world and Miami nightclubs are booming with high energy dance music. Miami is a city of beauty, intrigue, and truly amazing nightlife. With more cool South Beach bars, clubs, restaurants, and lounges that you would have ever thought possible in one city. Miami is a vibrant city that does not sleep, here are a few of the best Miami nightclubs that would be perfect for hosting your Miami vacation. 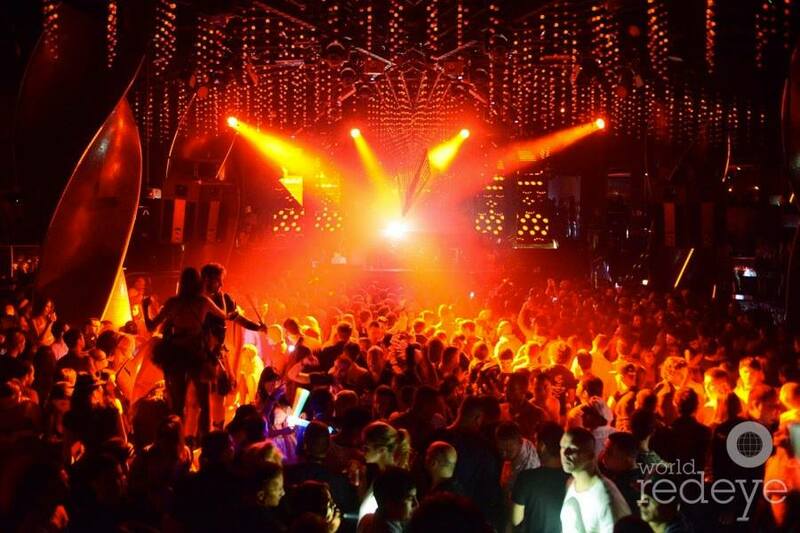 Liv nightclub is a super high energy Miami Beach club with a large dance floor. This is the perfect club if you want the true South Beach nightclub experience and vibe with EDM and Hip Hop booming throughout the club. The cool A list crowd if full of beautiful fashion models and hip locals and tourist drinking, dancing and hanging out in the ultra hot VIP bottle service areas of the club. The club features events weekly with the top DJs in the world including Kaskade, Tiesto, Calvin Harris and many more. These special even DJ shows are a night you will not forget. Liv is one hot club and is very hard to get into and unless you are a super star the Liv nightclub guest list does not exist. Make sure you follow the Miami club dress codes and look and dress South Beach hot. Check out our Liv nightclub Miami party packages. Liv is located at the Fountainblu Hotel 1444 Collins Ave.
Another fantastic club not to miss is Story nightclub. This club was recently named one of the top clubs in the USA and with good reason. Story nightclub is huge with an amazing sound and lighting system. The nightclub has a big dance floor club and weekly international DJs that will keep you burning up the dance floor. With great drinks an a amazing atmosphere, and vibe, this is a must for anyone that visits Miami Beach. If you are in Miami for a bachelor party you want to be sure and look into the popular Miami Bachelor Party Packages which are avalible for Story Thursdays thru Saturdays. Story Nightclub is located at 134 Collins Ave.
One of the new clubs that are set to open this year are Rockwell nightclub. Rockwell will be very chic and more like a lounge. Another new club opening soon is the Copa Room nightclub Miami and it will be a Vegas style club with live acts and shows. Rockwell nightclub is more of an ultra lounge. Copa Room is located at 1235 Washington Ave and Club Rockwell is located at 734 Washington Ave. If you want to be at the best Hip Hop clubs in Miami you want to make sure and check out Dream nightclub on Fridays and Cameo on Saturdays. If your not to tired or hung over from Friday night and you are in the mood to party Hyde Beach is the hottest pool party in Miami that you are going to find on Saturday afternoon. Located in the pool area at the super upscale SLS Hotel the party starts at 12:30pm and rocks till 7:00pm. This party is just like the wild nightclub parties but everyone is in bathing suits and bikinis. The great food and bottles are flowing in the VIP daybeds and cabannas. The venue hosts many top DJs and the pool is packed with hipsters with standing room only. Make sure you book your bottle service reservations ahead of time to make sure you have a spot at this celebrity filled party. Just the the nightclubs this pool party is very hard to get into the doormen are very selective. Hyde Beach is located at The SLS Hotel 1706 Collins Ave.
Sunday nights Nikki Beach Club is the place to party and is South Beaches best Sunday night party. 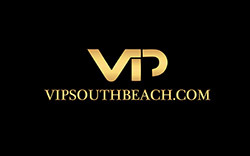 Nikki Beach is located on 1st and Ocean Drive. If you want a change of pace that is Miami hot check out Downtown Miami. The Downtown Miami nightlife is just as cool as Miami Beach but with a alittle more of a Latin flare. Here are a few Downtown hotspots not to miss. The Blue Martini is perfect for those that are looking for a classy night club that is perfect for a night out with the girls. The Blue Martini is not for those that are on a budget but is certainly worth stopping in. Every night is a different atmosphere with live karaoke, latin night, and so much more. The Blue Martini is considered one of the best upscale clubs on Brickell Ave. the club is located at 900 S. Miami Ave in Brickell Village. Tobacco Road, as the oldest bar in Miami this is certainly something to check out. This is a bar that hails from the age of prohibition and has survived for 101 years in the area. This bar has drinks that are priced to move and is a quirky spot that will keep you talking about your experience for years to come. Tobacco Road is located at 626 S. Miami Ave in the Brickell area. If you want to be at the hottest new restaurant in Miami do not miss Komodo Restaurant. This restaurant is Asian inspired and opens in November of this year. This three level, indoor/outdoor restaurant will seat a total of 275 people and will be the place to be in Downtown Miami. One of the owners is the owner of one of the best nightclubs in Miami Beach Liv nightclub and Dave knows how to make any venue the best party in town.The restaurant will be located at 801 Brickell Ave. While you are in Miami, it is well worth a visit to the famous Miami design district to shop stores like Tom Ford, Hermes, Zadig & Voltaire, and to see Miami fashion week were beautiful models from around the world come to show off the best collections on the fashion show runways.